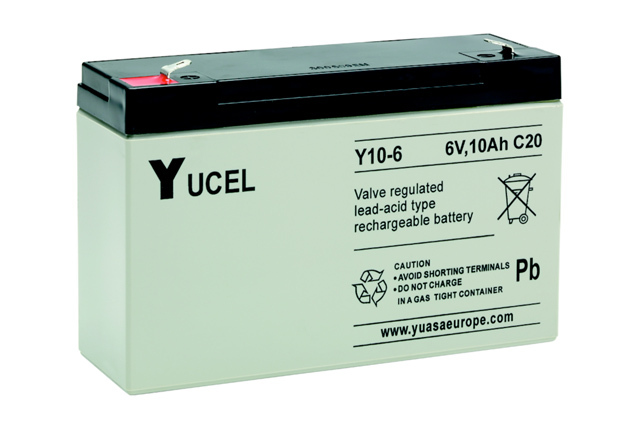 The Yuasa Y10-6 battery is a rechargeable, multi purpose lead acid battery from the Yucel series which can be used in an extensive variety of applications, including security systems such as alarms, torches, toys, and many more. 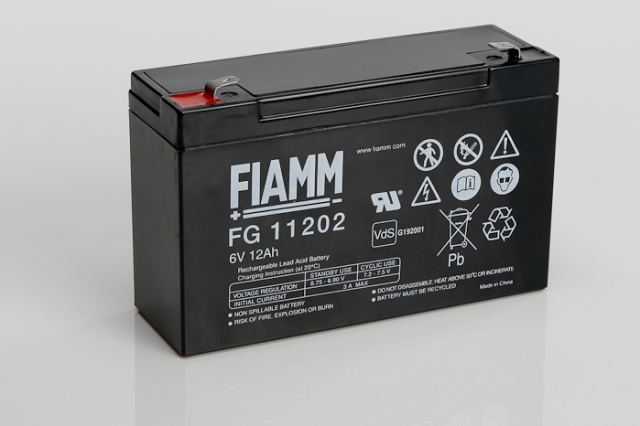 This is a completely sealed battery which ensures no leakage and can be used in a variety orientations (with exception to continuously inverted) due to the latest absorbed glass mat (AGM) electrolyte suspension system. Terminals on the Y10-6 are a universal ‘faston’ tab design (F1 type, 4.8mm wide) allowing for a simple slide on and slide off connection making sure the installation of a Yuasa Yucel Y10-6 to be an uncomplicated, hassle free operation. Thanks to the simple but effective design, excellent gas recombination and convenient terminal type the Y10-6 is virtually maintenance free. 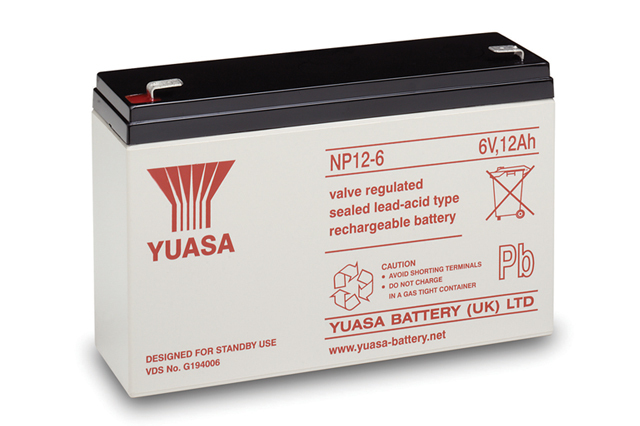 Blue Box Batteries are approved Yuasa vendors and are pleased to include the Yuasa Yucel batteries as part of our extensive range of SLA battery selection. Call us today on 02381 789197 to find out how our team can assist you with your battery requirements. Will be added soon, with pricing. Can the Yuasa Y10-6 be installed upside down? Whist the Yuasa Y10-6 can be operated in a number of orientations it is not recommend by the manufacturer to use this battery upside down.